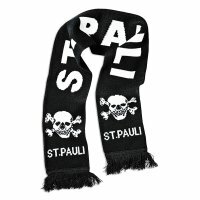 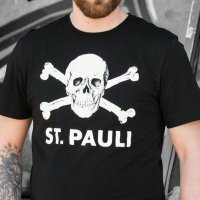 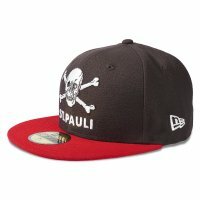 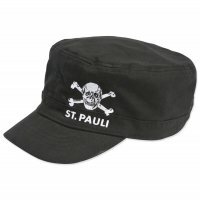 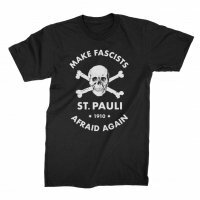 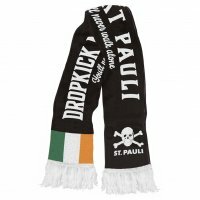 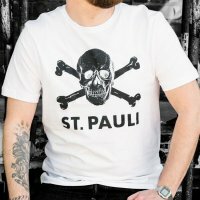 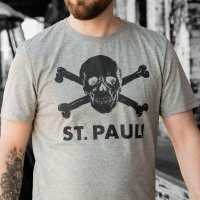 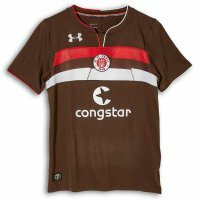 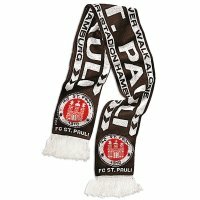 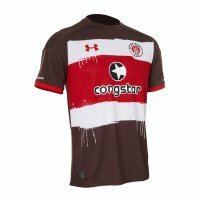 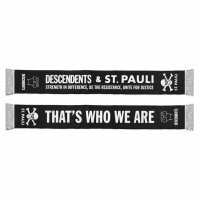 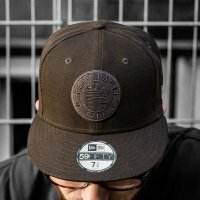 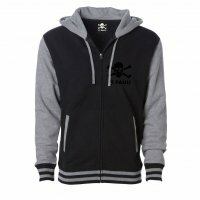 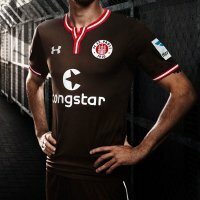 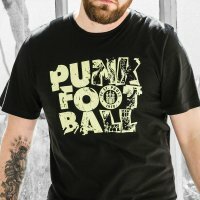 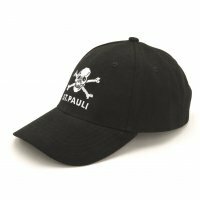 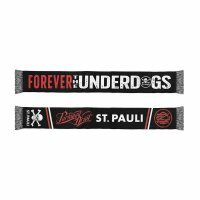 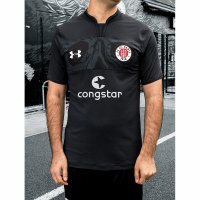 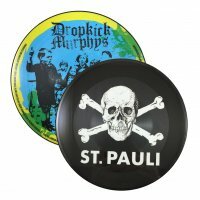 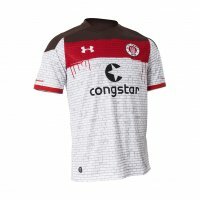 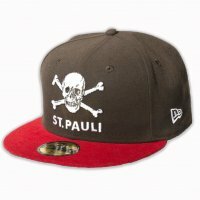 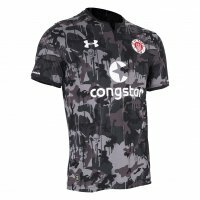 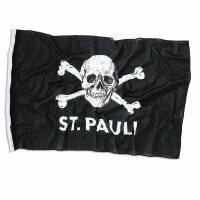 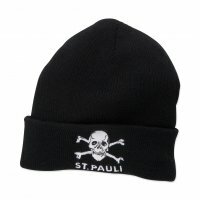 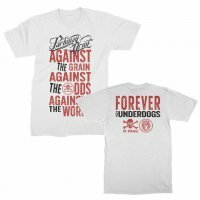 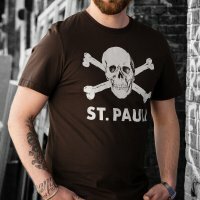 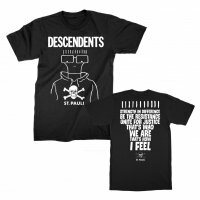 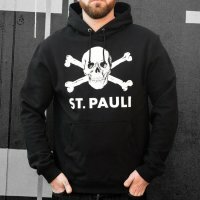 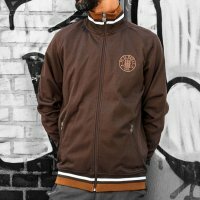 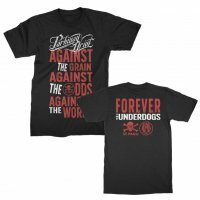 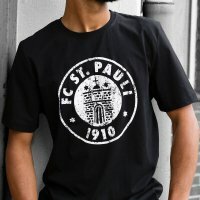 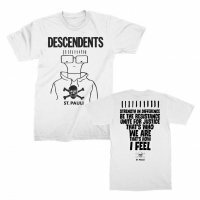 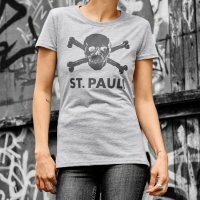 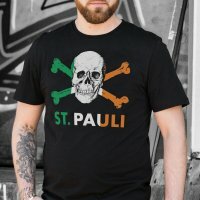 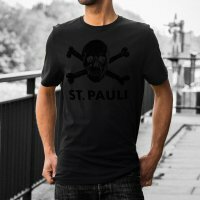 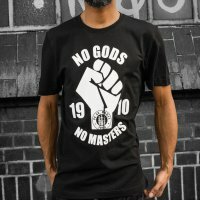 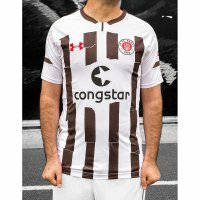 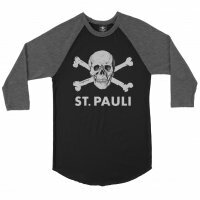 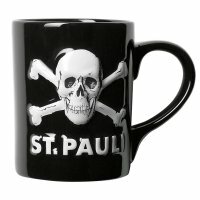 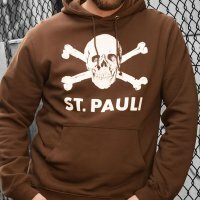 Dropkick Murphys and FC St. Pauli have extended their incredibly successful European collaboration and brought it to the United States. 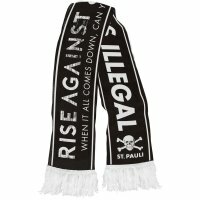 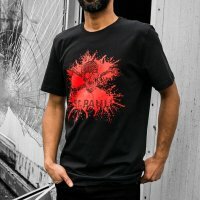 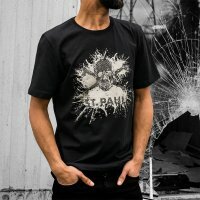 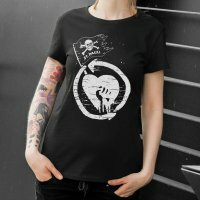 The T-Shirt, Scarf and limited edition merchandise campaign was launched in Germany in January 2017 following the release of the new album 11 Short Stories of Pain and Glory. 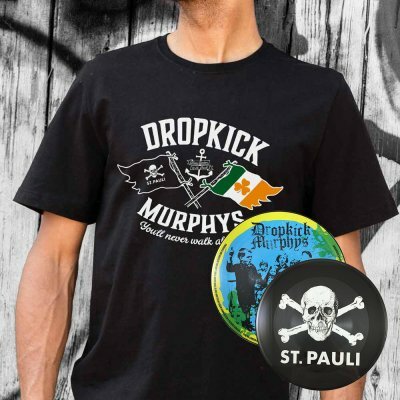 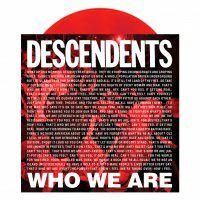 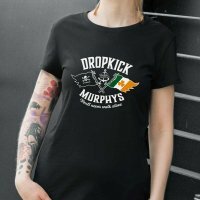 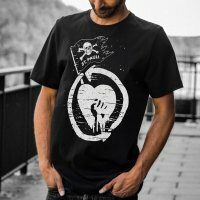 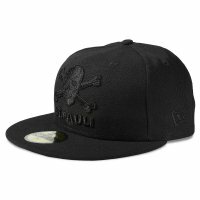 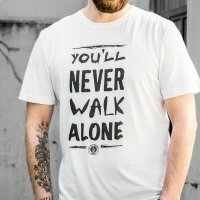 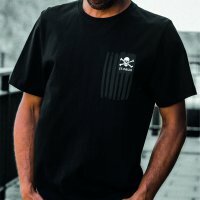 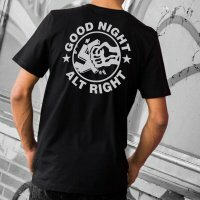 In keeping with Dropkick Murphys and FC St Pauli’s traditions of charitable work in their respective countries, this campaign will continue to benefit the Claddagh Fund’s work with the inspiration to cover “You’ll Never Walk Alone.” The Claddagh Fund is the charitable arm of the Dropkick Murphys that has worked extensively to combat the opioid epidemic in America in the absence of government and medical industry assistance. 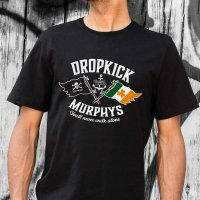 Filling the much-needed social and financial gap in combatting this illness in America, the Claddagh Fund has worked with numerous foundations that assist with treatment, outpatient services, schooling and education for recently-sober youth, and even working in with politicians to change the medical industry and legal policies around the opioid industry.